Phone Orders: Please have ready the stock code of the Fuglies you wish to purchase and your credit card details. Fax Orders: Click here to download a fax-back order form. Visit our Retail Stockists page for the location of your nearest Fuglies stockist, or click here if you'd like to become a Fuglies stockist. Visit our Bulk Pricing page for information about bulk orders. 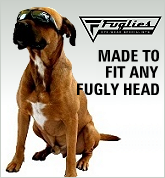 For large wholesale orders please contact Peter Linane on peter@fuglies.com.au or 0408 748 113. This website is operated by Rainforest Agencies Pty Ltd as an independent third-party reseller for the importer, manufacturer and trademark holder of the "Fuglies" brand, UV Wraps N Straps Pty Ltd (ACN 110 119 465). All safety compliance testing and certification results and benchmarks presented on this website have been carried out by UV Wraps N Straps Pty Ltd and are displayed on this website in "good faith" by Rainforest Agencies Pty Ltd based on information provided by UV Wraps N Straps Pty Ltd.
All enquiries relating to the confirmation of safety standards compliance for the various models in the Fuglies safety sunglass range should be directed to Peter Linane at UV Wraps N Straps Pty Ltd.